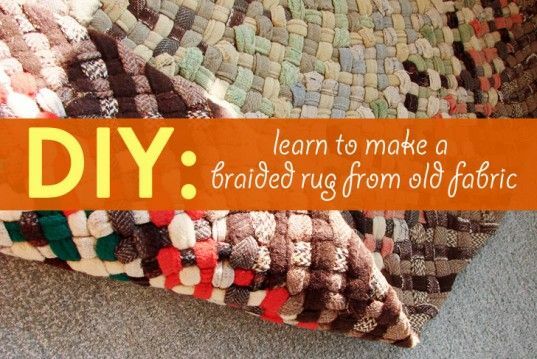 Sew it: Start sewing your braid together. 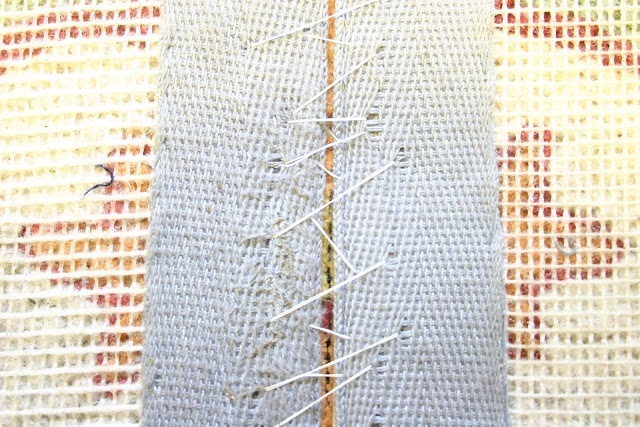 I used a variation of a blanket stitch and started in the middle, working my way around and out of the spiral. This is the part that took FOREVER. Seriously. I was anticipating sewing this on the machine, but lo and behold, the dang braid was too thick to even think about squeezing under the presser foot. 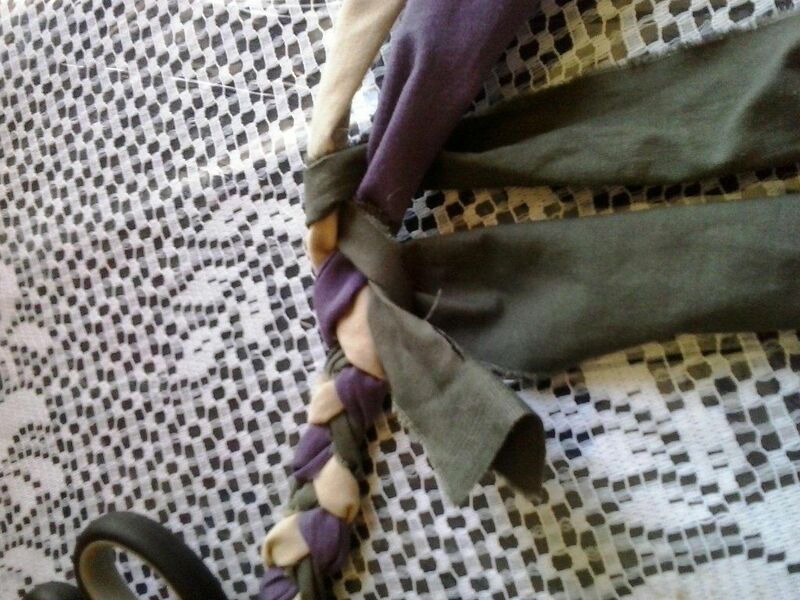 So, hand sew I did.... Sew it: Start sewing your braid together. I used a variation of a blanket stitch and started in the middle, working my way around and out of the spiral. This is the part that took FOREVER. Seriously. I was anticipating sewing this on the machine, but lo and behold, the dang braid was too thick to even think about squeezing under the presser foot. So, hand sew I did. I used a sewing machine to start the braid and for all of my transitions, but it was only because I was so pumped to have just gotten the sewing machine that I "had" to use it. You could totally hand-sew all of these or knot them for a more care-free look.